Prepz.nl likes a good cookout and here the essential things you have to do. We have chosen affordable and functional mini-burners, fire pots and cutlery sets for your convenience. Camping and other outdoor activities are fun and that applies even more when you have the right cooking equipment. Prepz.nl likes a good cookout and here the essential things you have to do. We have chosen affordable and functional mini-burners, fire pots and cutlery sets for your convenience. 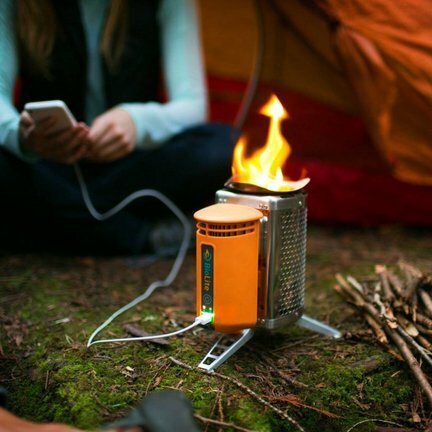 The Biolite burner is easy to use and the fire goes quickly. The burner does not use gas or petrol but can be fired with twigs that you find along the way. Being in the great outdoors means being prepared for any and all situations. Having fire is the one thing you need to have in order to survive. 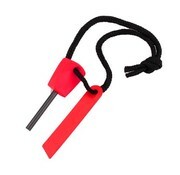 Equip yourself with a BonQ Firestarter to add comfort and security to your situation. The campstove 2 is very efficient so you need very little wood to get the stove up to temperature. (About 45 grams of wood to boil 1 liter of water). You do not have to take fuel bottles or gas along with you. 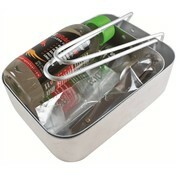 The Zippo lighter petrol comes in a stainless steel can of 125 milliliters. However, Lighters of Zippo are always supplied without gasoline. With this refill container, you can easily refill your lighter. Making fire is not always easy, especially if your lighter stops working. But worry not. The BonQ Gasoline Lucifer Aluminum keychain is the perfect solution. 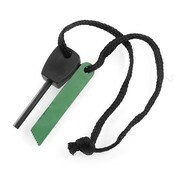 With this BonQ Firestarter you will have a fire burning in no time. You just need to scrape the black protective layer off and the sparks fly around.